Computers make our lives so much easier, but they can also be frustrating, especially since we rely on them so much. 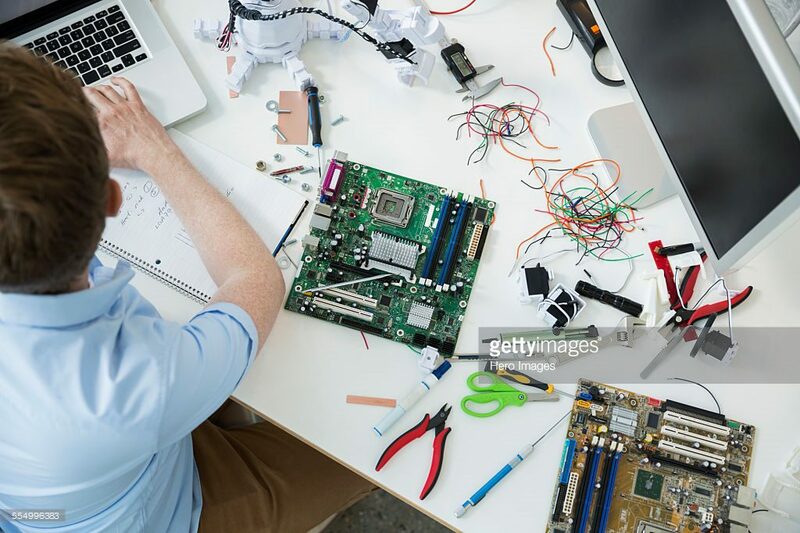 When you need computer repairs, whether the problem is your hardware problem or a virus, the troubles seem neverending. MP Computer Services in Rock Hill, SC is here to assist you. Our trained and professional staff of local computer technicians will assess your computer’s issues and find solutions quickly. Fixing your problem in the most cost-effective manner possible is our top priority. Our services cover all of the major reasons why people need computer repairs. If you’ve ever owned a computer, you’ve probably dealt with annoying error messages, downloads that seem to take forever, corrupted files, and freezes. When these things happen to you, you lose valuable time–and you may even lose valuable documents. Get your desktop or laptop checked out before more damage is done. Viruses invade computers and cause absolute chaos within your files. We can put a stop to this damage by completely removing any spyware, malware, or other viruses that are lurking on your computer. If you suspect that your computer is infected, call us right away for a diagnosis. Networks allow you to connect all of your technical devices through wired or wireless systems. Using this technology, your computers and other devices will be able to share and transfer files with complete ease. These systems are great options for small businesses, self-employed individuals, and families looking for easy communication and organization. Do you need help transferring large files or large quantities of data? Our local technicians can assist you to make sure everything you need is moved over accurately and securely. We can also offer you advice for future data transfers. Discovering that your data is lost is a stressful experiences. However, it doesn’t necessarily mean that they aren’t retrievable. That’s where we can help. We’ll do our very best to recover any data that you may have lost. Looking to buy a new printer? Want your printer to work like it’s supposed to? We can help! Let us find the perfect printer for your needs or handle any printer repairs. MP Computer Services is the only Epson authorized service center in the state of South Carolina. We also provide Epson POS and Pro Graphics printer repair. Need help with your computer? Let's chat. Call MP Computer Services at (803) 324-5725 to learn more about any of these services. Our Rock Hill, SC store is a short drive from anywhere in the Charlotte Metro area of the Carolinas.